The ICF Hurricane Anchor has been especially designed for US conditions and modern ICF concrete building techniques to deliver safer, more efficient and higher load rafter/truss anchor connections that deliver significant cost savings over the total house build. 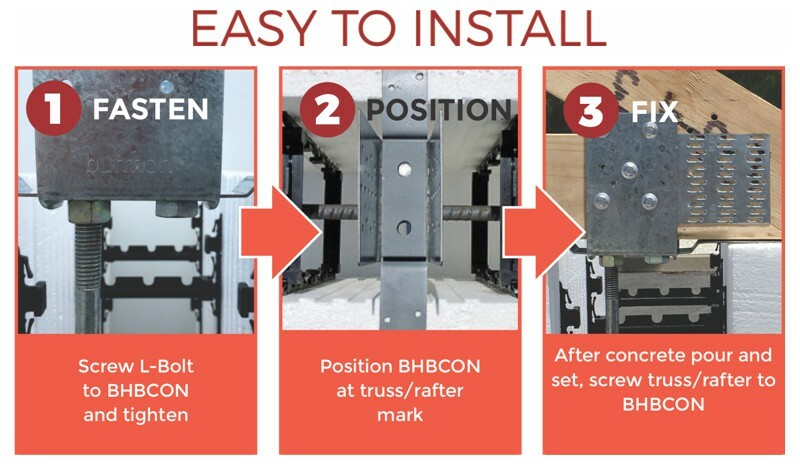 Scaled over multiple projects, the benefits of using Burmon Hurricane Anchors are compelling. Burmon Hurricane Anchors are the most efficient and effective residential roof truss tie downs available, saving you time and money. Burmon Cyclone Brackets are the most efficient and effective residential roof truss tie downs available, saving you time and money. © 2013-2019 Burmon Building Products Inc.